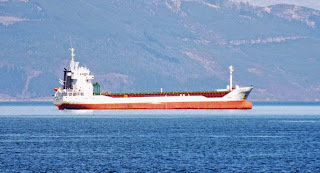 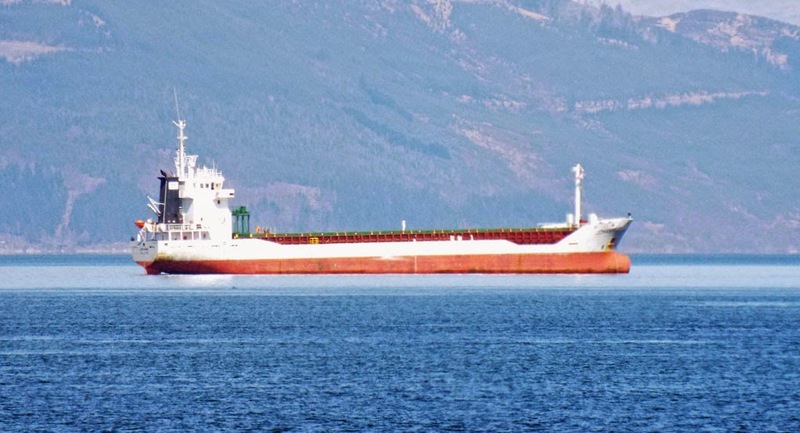 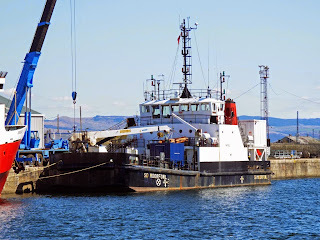 Serco Marine's latest acquisition SD Angeline in Great Harbour 18 April 2015. 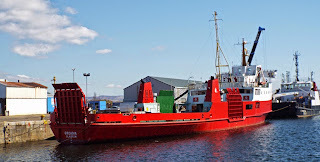 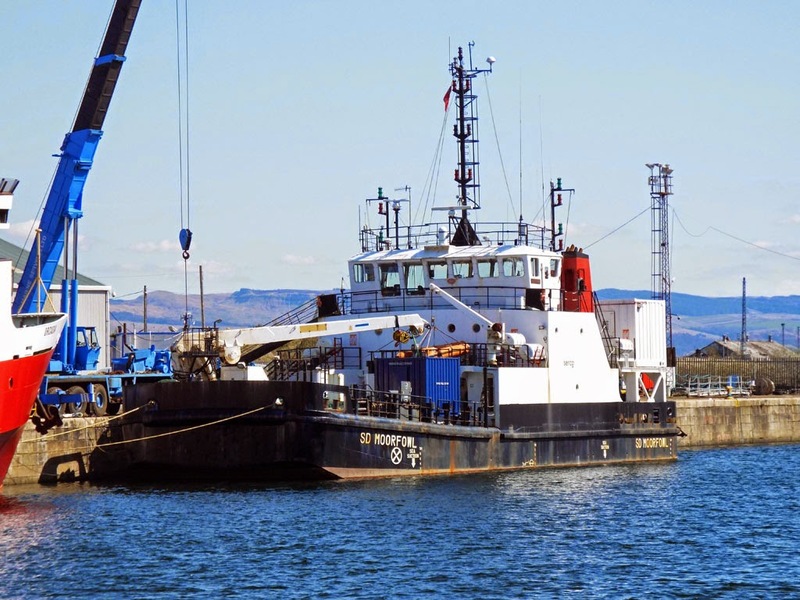 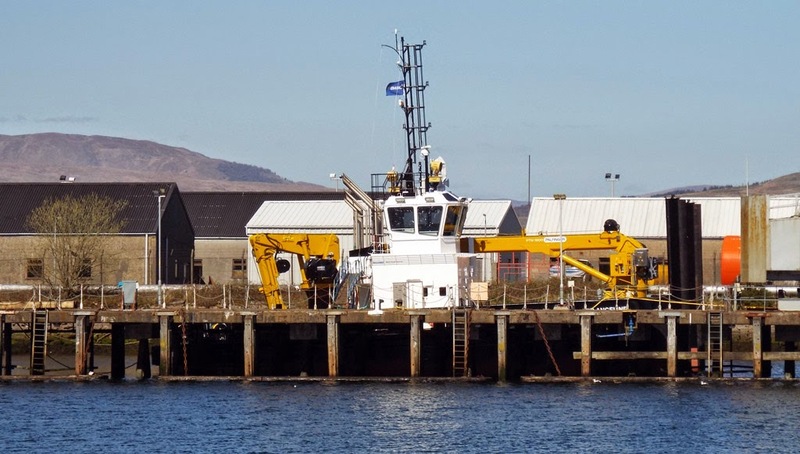 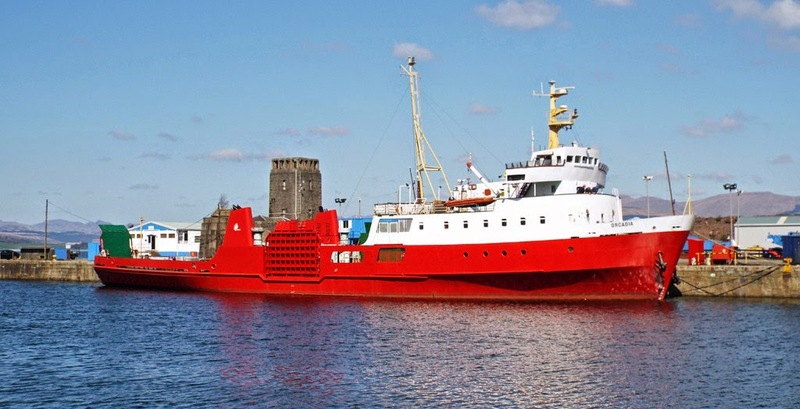 Serco Marine's SD Moorfowl completes annual maintenance in JWD 18 April 2015. Coaster Johanne waits to head upriver 18 April 2015.